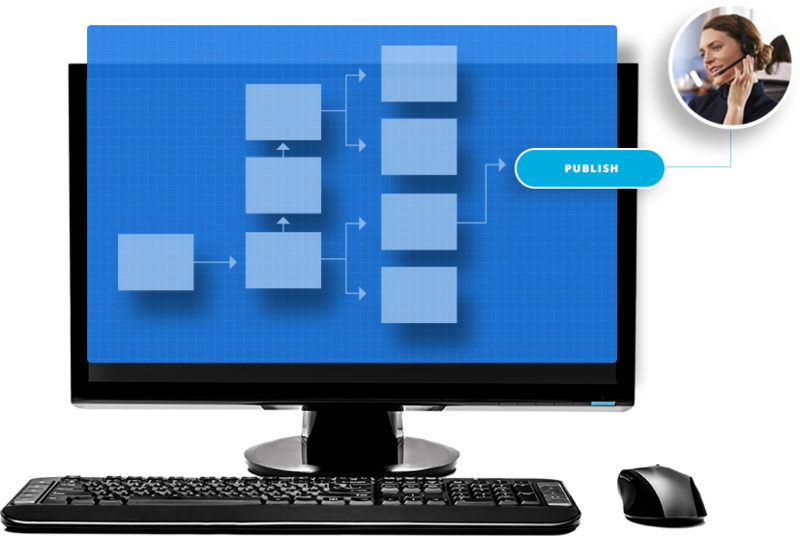 Your Toolkit For Game-Changing Process Workflows. Easily develop, self-build and self-administer unique, process-based workflows configured around your business processes with minimal development knowledge. Self-build and self-administer complex, process-based workflows that are tightly integrated with your internal systems. Configure workflows around your unique business processes that reflect specific business needs or industry requirements. Studio’s intuitive interface lets non-developers quickly create workflows with simple drag-and-drop functionality. Empower agents to better serve customers — reducing call handling time, increasing productivity and boosting customer satisfaction. Workflows can be tailored to your business processes without limits or restrictions. Tie into any system with an exposed interface to push or pull data from business applications. With drag-and-drop functionality, workflows can be rapidly developed, tested, modified and managed. Browser-based applications make deployment immediate with no desktop deployment needed. Customize the look and feel of your application so it flows seamlessly with existing applications.